LYZ Property Group has paid $17 million on the back of a four per cent yield for a property in Hawthorn, Melbourne, amidst intense competition for scarce assets as a result of yield compression. 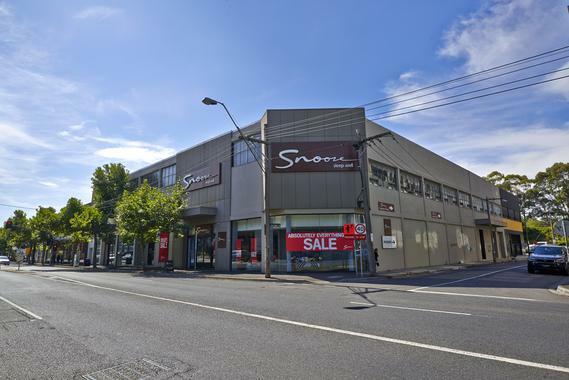 The securely leased property at 283-285 Burwood Road in Melbourne's inner eastern suburb of Hawthorn comprises 2655 square metres including a building area across two levels and 28 undercover car spaces on a commercial site. Teska Carson’s Tom Maule and Michael Taylor who brokered the deal said LYZ would hold the property as a long-term investment with potential for redevelopment and said the property attracted enormous attention from investors. Mr. Maule said the property offered an outstanding development prospect in the long term with planning precedence delivering up to eight level buildings in the immediate vicinity. "Ultimately, given the lease profile, this was a pure investment play and as such has sold on a sharp yield which is in record territory for this type of property in Hawthorn,’’ he said. LYZ Property Group, a subsidiary of Nanchang-based Hengmao Group, has been involved in several large-scale developments in China totalling more than two million square metres of premium residential property and mix-use projects including Hengmao Metropolis, a 500,000 square metre community living complex. Mr. Maule said 2016 had begun with a continuation of the strong demand from investors but the level of investment stock available was not matching demand. "We have plenty of enquiry but while the investors are still out there, owners have not been out there in the same numbers and that was reflected in the enormous interest we received in this property,’’ Mr. Maule said. Teska Carlson said LYZ is known for high-end apartment projects, including the Elenberg Fraser designed Chiara and Lucia projects in Daly Street, South Yarra. There are currently 765 apartments completed or under construction in Hawthorn, with seven major, mixed-use, developments in the planning stages. The property is currently leased to Snooze and National Storage at a total current net return of $682,660 per annum, and was previously owned by a local investor.